Year after year, real estate experiences a seasonal slowdown during the fall and winter months.This trend definitely affects colder, northern and mid-western climates to a much greater extent than it does temperate South Florida. Nonetheless, you can still expect chillier weather to have a cooling effect on the local housing markets. With that information safely filed away, there is still no reason to shy away from buying a home as we approach the New Year. In fact, there are a number of great reasons why you may want to become more active in the search for your next residence now that summertime is over. Most people don’t realize just how cyclical the real estate market is. Sure, after the last decade just about everyone knows that we’ll have both high and low periods, but markets are often even more predictable than that. Every year we see activity decrease during certain months and seasons. Once you understand a little more about the underlying factors driving the slowdown, everything begins to make a lot of sense. A hectic holiday season causes many homeowners to put off selling their homes and moving until after the New Year. Homeowners with children are often reluctant to relocate during the middle of the school year. They’d rather wait until the late spring or summer when school is out. Cold weather (okay, not so warm weather) still discourages many people from packing up their homes and holds back their thoughts about moving into somewhere new. Today, we’re all aware that the biggest issue most buyers face when looking for a home, especially during the fall and winter months, is that the supply is still extremely limited. For the ultra-particular buyers who know precisely what they want, it may take a little longer for the perfect dream home to come along. But for more flexible buyers interested in saving some money, there are always some well-priced properties from which to choose. 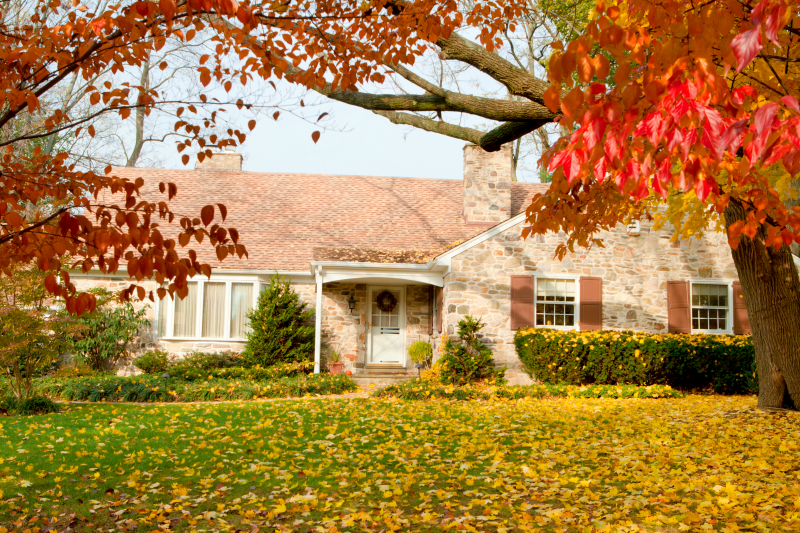 While many homeowners opt out of fall and winter sales, not everyone has that luxury. For those who have job or school deadlines or debts that must be paid, time is of the essence. regardless of the month or season. No matter what time of the year you decide to search for your next home, you should expect to find several good properties to choose from. That’s because many sellers are always going to need – not just want – to sell. Those motivated listings are often the secret to finding the best deals. A large benefit for home shoppers at the end of the year is somewhat less competition than during the peak buying season. This may give you the opportunity to purchase at or maybe even somewhat below asking price. Whereas, during the peak season that same house might spark a bidding war that results in having to pay a premium over asking price. Well priced properties in peak condition are still going to go quickly and at or close to list price. However, the seasonal decrease in buyer activity means that there will be sellers who are much more willing to compromise if their circumstances require them to sell relatively quickly. A few years ago, there was a glut of foreclosures on the market. Today, the number of foreclosed properties has dropped significantly. If you’re a cash buyer able to size up a property and understand the expenses involved in bringing it back to livable condition, there are still some worthwhile bank-owned opportunities available. In order to clear up their balance sheets before the end each year, some banks may be more willing to negotiate the price of a property in order to get a deal closed by December 31st. Successful real estate professionals often lead busy lives. But buying during the slower months mean your buyer’s agent may have more time to spend with you one-on-one than during the more chaotic times of the year. While a good real estate agent will always deliver top-notch service to every client, a lull in market activity often allows us to add an even more personalized touch. And remember, if you know of anyone looking for help with residential real estate services, consider sending them my way. I am a resident of Boca Raton and an expert in our market.